The Alinco DJ-X11T Portable Wideband Receiver. Wideband in this case means from 0.05 to 1300 MHz. 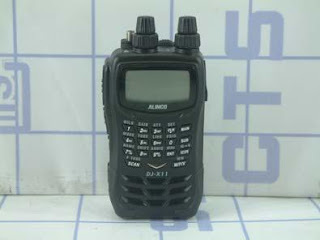 Has dual-frequency receive, FM/WFM/AM/SSB/CW receiving modes, voice guidance and a bug detector which detect nearby signals. 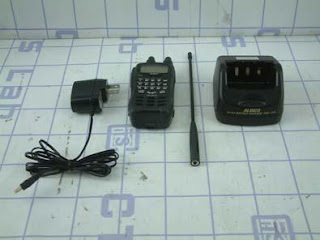 Comes with a Li-ion battery, adapter and charger base, AA battery case, SMA antenna, belt clip and hand-strap. Manual in 6 parts here. Parts 1, Part 2, Part 3, Part 4, Part 5, Part 6. TYT TH-UVF1 - Dual-band Portable.